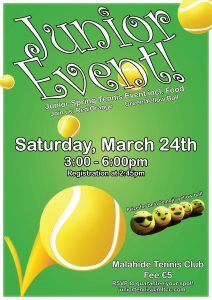 Our Junior Spring Event takes place on Saturday March 24th from 3pm – 6pm, registration starts at 2:45pm. The event is open to Red/Orange ball and Green/Yellow ball. 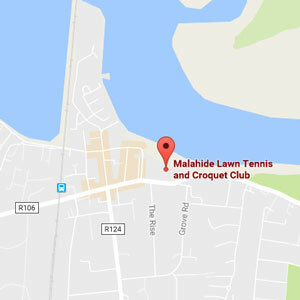 This is a fun event for all the junior members and a great opportunity to take part in a sociable tennis event. There will be a prize for the best ‘Emoji Tennis Ball’ hand in at registration. We have a limited number of places for courts and supervisors, please email juniortennis@mltcc.com to guarantee your spot.